We are the biggest provider of PAT Training in Ireland. We run 1 day PAT Training Courses in Dublin, Cork, Galway, Limerick and Portlaoise. Our superior customer support is one of the reasons that we are considered a leader in our field. Take a look at some of our PAT Training Testimonials. We provide training on all makes and models of PAT Testers. 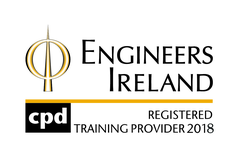 We have been supplying PAT Testers and PAT Training in Ireland since 1996. We are the authorised agent in Ireland for the leading suppliers such as Seaward, Megger and Fluke. We schedule regular 1 Day PAT Training courses and our training locations are conveniently located for those based in Dublin, Cork, Limerick, Kilkenny, Galway or Waterford.Click here to Book Your 1 Day PAT Training Course. We can provide on-site PAT Training anywhere in Ireland. Our PAT Training Courses have been assessed by the National Standards Authority of Ireland (NSAI), and deemed to comply with the provisions of the standard Quality Management System I.S. EN ISO 9001:2015. To view our PAT Training Course content, see our PAT Training Course Syllabus section. Or download our PAT Training brochure. Our Portable Appliance Testing Training Courses can be carried out as a one-on-one PAT Training or can be scheduled as an On-Site PAT Course.